"No, please, don't do anything differently…" Kino Lorber has unveiled an official trailer for the romantic drama Porto, about two strangers who meet randomly for an evening of intimacy in the Portuguese city of Porto. The film stars the late Anton Yelchin in one of his final roles (along with the films Rememory and Thoroughbreds) as Jake, who meets the lovely Mati, played by Lucie Lucas. The cast also includes Paulo Calatré and Françoise Lebrun. This already premiered at the San Sebastian Film Festival last year, and has played at numerous film festivals through 2016 and 2017, with a release in the US this November. This actually reminds me a bit of Drake Doremus' intimate romance film Newness, which also had a trailer today. 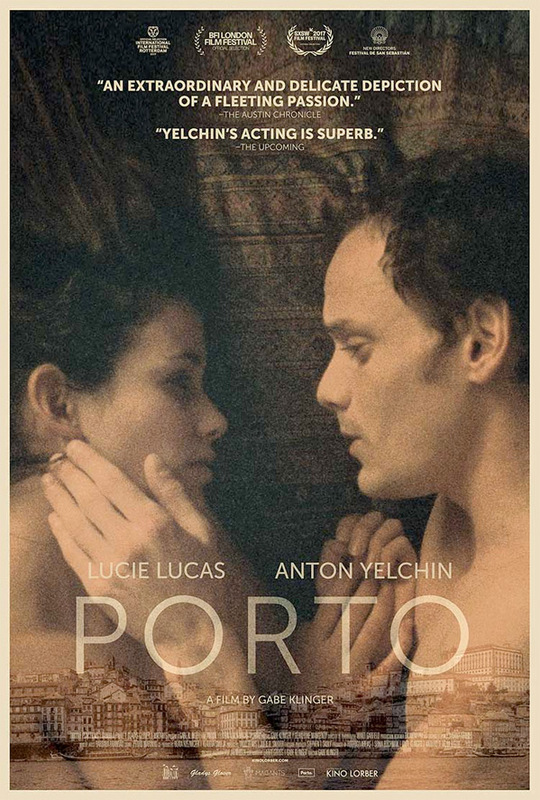 Jake (Yelchin) and Mati (Lucas) are two expats who experience a brief but intimate connection in the ancient Portuguese city of Porto. He’s an American loner exiled from his family. She’s a student from France embroiled in an affair with one of her professors. After spotting each other from a distance at an archeological site and then again at a train station and a café, Jake works up the courage to approach Mati and they embark on a night of carefree intimacy. Porto is directed by Brazilian-American filmmaker Gabe Klinger, of only the documentary Double Play: James Benning and Richard Linklater previously. The screenplay is written by Larry Gross and Gabe Klinger. This first premiered at the San Sebastian Film Festival last year, and also played at the SXSW Film Festival earlier this year. Kino Lorber will release Gabe Klinger's Porto in select theaters starting on November 17th later this fall. Who is interested in this film?